Another day of Adventure! We left early in the morning only to be stopped shortly thereafter by an accident – one of the ‘collectivo’ buses (they are the minibuses – more like big vans) hit head on with a suburban. The whole town was there. Luckily the ambulances moved very quickly. Hopefully everyone was okay, the vehicles were pretty wrecked, and these vans are usually jam packed with about 20 people. With dampened spirits we continued on. We passed a fairly big city named Comitlan. The highway runs the whole length of the city – right down the middle for several miles. But instead of being divided with concrete, there were trees and flowering bushes livening up the lanes. Very pretty! Soon we were immersed in thick pine forests. 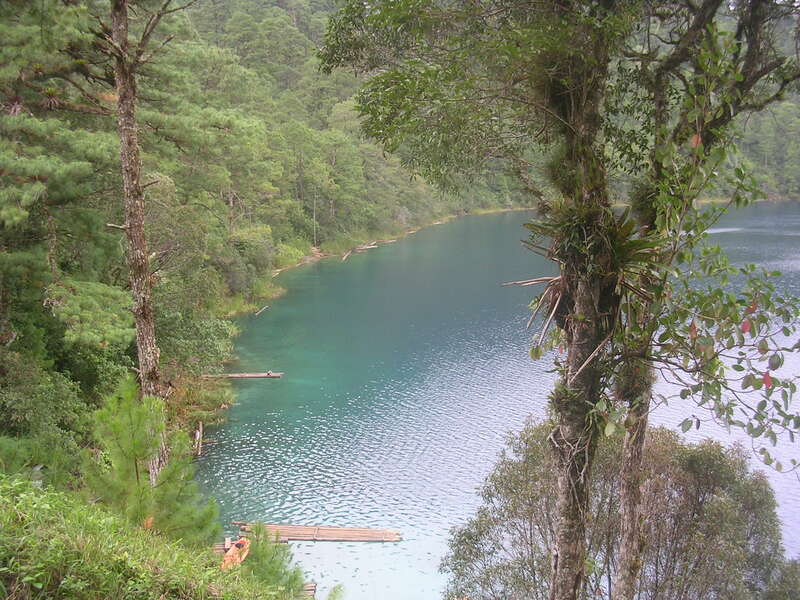 We visited the Lagos de Montebello – a famous chain of lakes. They are all different colours, emerald greens, turquoises, blues… Very beautiful. It was wonderful to be up in the pine forests and smell the crisp air. It was kind of drizzly for awhile, but warm. I talked with a group of students from Pueblo. They all wanted to go out on the lake in these homemade rafts but couldn’t convince the little business to give them a decent price, so they decided to spend their money on tacos. They loved that I spoke Spanish! After we spent some time there, we loaded back up in the van and dropped down 2000 metres to see El Chiflon. This is a giant waterfall. The weather here was wonderful. We hiked straight up a mountain for a kilometre and all along you see portions of the waterfall. It is aqua coloured and very clean. But after you have climbed and sweated and think you might die, you turn a corner and see the most splendid sight -Bridal Veil Falls- really big, really high and really beautiful!!! I remember seeing this on TV and in books and being really impressed. I thought in real life it might not be so wonderful, but it is amazing. After taking a million photos, we walked back down, put on our swim suits and jumped in. We doused ourselves in the cold water and felt clean and not just physically. We baptised ourselves since we were so close to God! These eco tours are so great, and really inexpensive. Today we went from 9am – 8:30pm and it cost 250 pesos each. That’s about $22 dollars! And they do a nice job, they give you enough time at each site to wander around and get the feel of the place instead of just snapping a few photos. 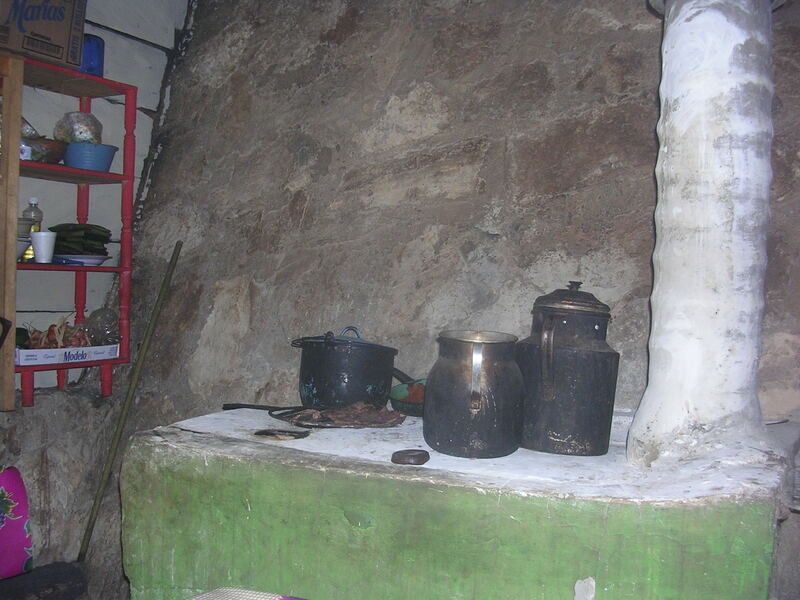 When we got back it was raining here but we went out and ate tamales of mole and chocolate atole – yummy! A perfect ending for a perfect day! nice pics! 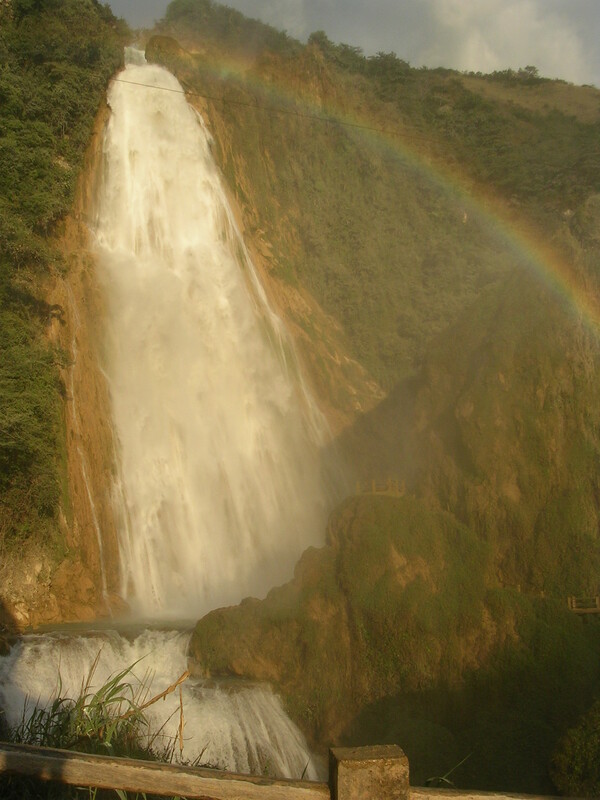 I love the waterfall….how about taking some pics of Xalapa?